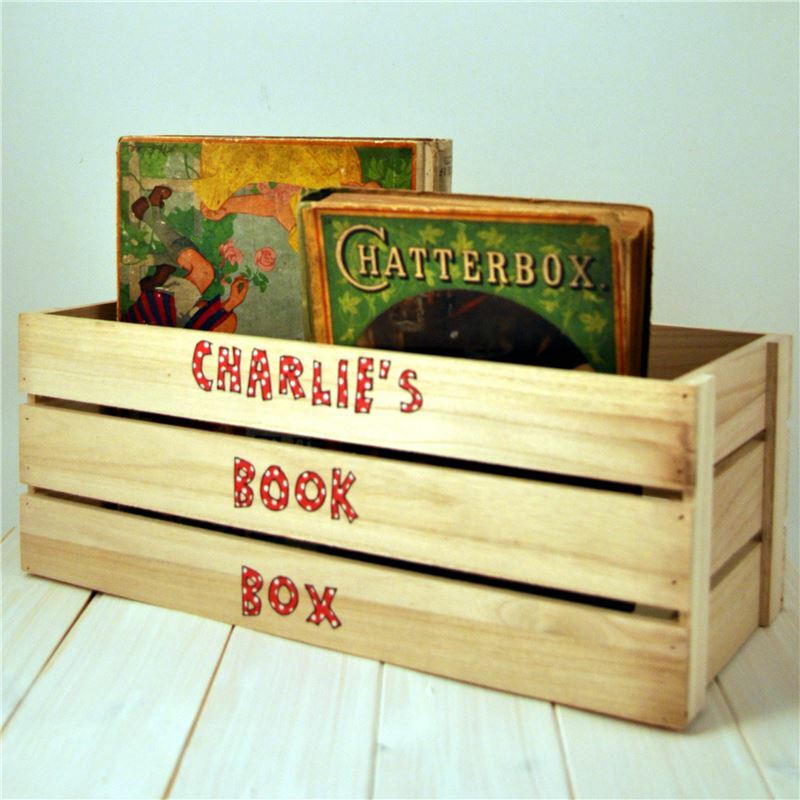 Encourage your children to read with this personalied book crate. A practical place to put this weeks weeks favourite books and would look lovely in a lounge or bedroom. it measures 45cm 20cm by 17cm. If you love books then you will love this present.